Pain and injury of the upper back, also called the thoracic spine, is uncommon but can cause you significant pain and discomfort when it does occur. If you’re suffering from upper back pain in Los Angeles, then you may benefit from fusion surgery. The purpose of this type of spine surgery is to alleviate back pain by providing stability and decreasing movement in joints of the spine that are causing nerve irritation. Thoracic fusion surgery is typically recommended for spine deformities, treating a fractured vertebra, and treating vertebral instability. If your spine specialist advises fusion surgery to treat your back pain, there are a variety of approaches that she may use to complete the procedure. However, all fusion surgeries involve the use of a bone graft that is placed between the vertebrae. The purpose of the bone graft is to create a solid bonding of the two vertebrae located at the site which is the source of your symptoms. In some cases, hardware may also be used to promote the union or provide additional stability. A recovery time will follow the surgery, and your surgeon may advise a break from your normal activities and participation in a rehabilitation program. When Should You Consider Spinal Surgery? 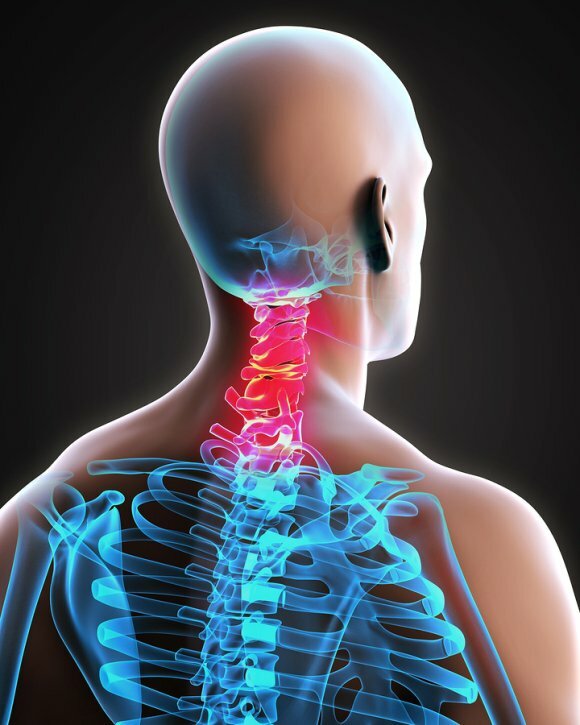 Spinal surgery is used to treat a variety of conditions that affect the back and neck. In many cases, your spine doctor will advise surgery only after non-surgical spinal solutions have failed to provide spine pain relief in Los Angeles or improve your mobility. Under certain conditions when suffering from a spinal issue, you may benefit from considering spine surgery. Sitting between each of your spinal vertebrae are cushioning discs of tissue called spinal discs. When one of these discs breaks or slips out of place, it results in a herniated disc. This condition can cause symptoms such as back pain or pain, weakness, tingling, or numbness in one of the limbs. If your doctor diagnoses you with a herniated disc, there are several treatments that he may recommend to provide spine pain relief. Conservative therapies such as rest, medication, and physical therapy are often sufficient for alleviating herniated disc symptoms. If these non-surgical spinal solutions fail to provide you with relief after an adequate period, then your doctor may suggest spinal surgery. When a herniated lumbar disc affects one of the sciatic root nerves, which attach to several vertebrae of the spine, the result is a condition called sciatica. The sciatic nerves run from the lower back, through the buttocks, and down through the legs. Symptoms of sciatica often include low back pain or pain that begins in the buttock and reaches the thigh and sometimes the lower leg and foot. If you are diagnosed with sciatica, your doctor is likely to recommend non-surgical spinal solutions such as rest, medication, and physical therapy. If these treatments fail to provide you with sufficient relief, then it may be time to consider spine surgery. Although scoliosis is often thought of as a childhood condition, it can occur in adults as well. Curvatures of the spine can develop for several reasons, such as undetected birth defects, as a secondary result of degenerative diseases, or spinal cord injury. When conservative treatments fail, your doctor may suggest surgery for scoliosis if you are experiencing chronic and debilitating pain or if the curvature continues to worsen. 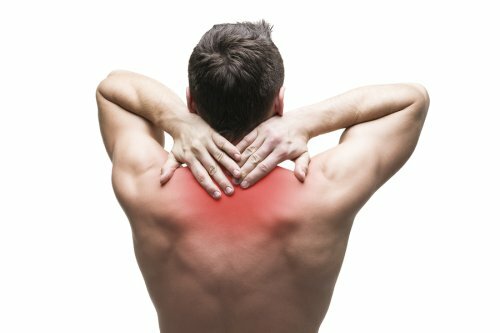 Are you a football player who is looking for an injured athlete specialist near Los Angeles, CA to find back or neck pain relief? If so, then you may be suffering from one of several common sports-related spine injuries. The pain and discomfort that these injuries cause can lead to a significant amount of frustration for the individual and an inability to participate in their sport. Read on to get some facts about common football-related spine injuries. This type of injury frequently affects both football players and non-athletes. In many cases, the condition is the result of trauma. A herniated disc injury occurs when one of the spinal discs, which are cushioning structures between the vertebrae, ruptures and bulges outward. This bulging tissue can irritate nearby nerves and result in pain, weakness, tingling, or numbness in the back, buttocks, or limbs. Herniated disc treatment typically begins with rest, cold compresses, muscle relaxers, and anti-inflammatories. When your athletic spine doctor refers to your back pain, he may use “sprain” to describe to ligament injuries, and “strain” when talking about muscle injuries. 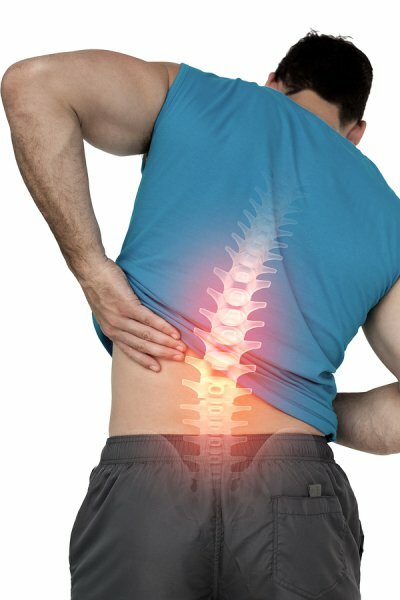 In football players, these injuries are frequently caused by an overuse of the structures of the spine, but can also be the result of trauma, insufficient stretching, a lack of conditioning, or poor technique. With these injuries, you may notice increased pain with activity, and relief from pain when you rest. Treatment for back sprains and strains typically begins with rest and a break from athletic participation. Cold compresses, anti-inflammatories, and pain relievers may also be advised. Another type of injury that is a frequent source of back pain for football players is called spondylolysis. This condition refers to a defect in a small segment of bone in the lower spine called the pars interarticularis . Football puts a significant amount of stress on the bones of the lower back, which can result in spondylolysis in the form of a stress fracture. Rest, anti-inflammatories, a back brace, and physical therapy are commonly used for spondylolysis treatment. Spine specialists frequently treat patients affected by sciatica, which is a common source of lower back pain and the need for spine pain relief in Los Angeles. If you are pregnant, you may be wondering if you will need spine pain relief and how you will be affected by this condition. Sciatic pain during pregnancy is typically caused by weight gain, additional pressure on the sciatic nerve, and changes in your center of gravity. To learn more about how sciatica affects pregnant women, watch this video. The sciatic nerve is one of the major nerves in your body. It attaches at several locations in the lumbar spine, runs under the piriformis muscle, and extends into the thigh and lower leg. When the sciatic nerve is irritated, it can cause lower back pain. Other sciatica symptoms include numbness, tingling, pain, or weakness in the buttock or leg. Luckily, sciatica can often be treated with non-surgical spinal solutions. What Spine Injuries Are Most Common in Athletes? Amateur and professional athletes alike subject their bodies to considerable stress from overtraining, repetitive movements, and abrupt impacts. Any part of the body can develop athletic injuries, including the back. Athletes who have suffered a spinal injury in the Los Angeles area can consult a spine doctor for an accurate diagnosis and personalized treatment plan. 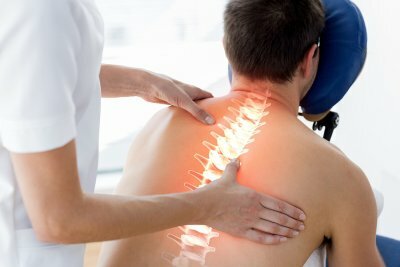 Athletic spinal injuries can often be treated with conservative therapies, but sometimes, spine surgery is recommended. Disc injuries are more common among older athletes. These refer to injuries of the intervertebral discs, which are cushion-like structures located between the vertebrae. With age, the discs begin to lose water content, which makes them less flexible and more prone to injury. Athletes who suffer a sudden impact can sustain a herniated disc, which occurs when the inner material pushes through the exterior wall. Herniated disc material can compress nearby spinal nerves, leading to back pain. Other symptoms of disc herniation include numbness, muscle weakness, and tingling that radiates down the limbs. For a serious athlete, getting back in the game quickly is the ultimate goal. Minimally invasive spine surgery translates to a shortened overall recovery time compared to open spine surgery. After the procedure, athletes can expect a period of rest and rehabilitation before getting back to their usual training routines. Spondylosis does not refer to one specific injury. Rather, it’s an umbrella term that encompasses any sort of degeneration that affects the spine . Anyone can develop spondylosis, but athletes might be more likely to develop it at a younger age than the general population because of the considerable stress placed on their bodies. For instance, gymnastics, football, and weightlifting exert major stress on the lower back. The strain on the back might lead to spondylolisthesis, which is a condition in which a vertebra begins to slip out of place. This may require surgery to correct. Soft tissue injuries can involve muscle strains and tears of the ligaments. Although these might not require spine surgery, they do require proper treatment to avoid future complications. Rest is called for when athletes experience back pain and other unusual symptoms. After a period of rest, physical therapy can help restore proper functioning. The decision to have any sort of spine surgery should not be taken lightly. All spinal surgeries at clinics in Los Angeles carry inherent risks, such as the risk of adverse reactions to the anesthesia. However, minimally invasive spine surgery is definitely a superior choice. With this approach, the spine doctor creates a few very small incisions instead of one very large incision. Specialized surgical tools are used to complete the procedure through these tiny incisions. Minimally invasive spine surgery is generally preferable for patients because the body can heal smaller incisions much more easily and quickly than a large incision. This translates to a shorter stay in the hospital or clinic and an accelerated overall recovery time. Patients can get back to their normal daily routines more quickly. 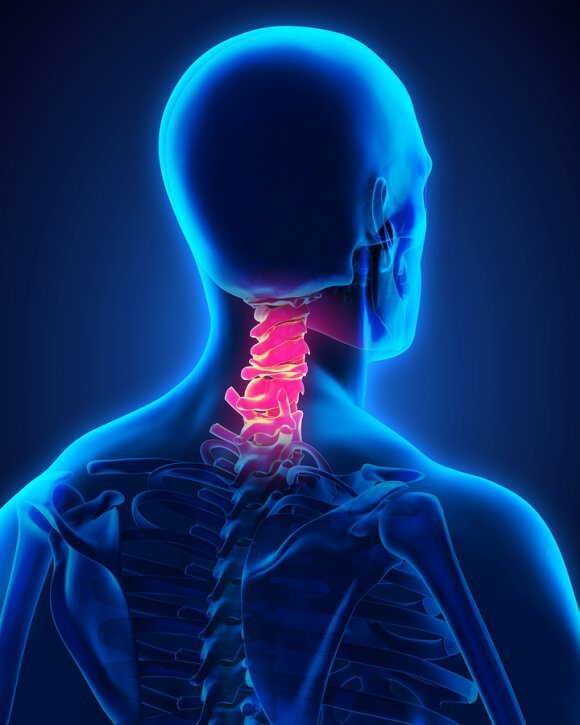 Additionally, spinal surgery performed with minimally invasive techniques typically results in less blood loss and a reduced risk of complications. There is usually less damage inflicted on the surrounding muscles and other tissues, which provides for better long-term functioning. Patients who undergo minimally invasive spine surgery often find that they need less pain medication, thereby reducing the risk of adverse reactions from these powerful drugs. If you’ve been told that you may need spinal surgery, consider asking your spine surgeon if you’re a good candidate for minimally invasive surgery. For minor spinal injuries such as back strain, oral pain relievers and a brief period of rest may be all that is needed to address symptoms. In more serious cases, patients might consider undergoing spinal injections at a spine and pain center in Los Angeles. 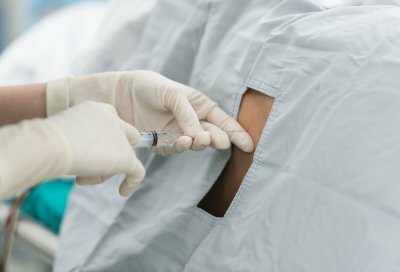 A spinal injection will deliver anti-inflammatory and numbing medications directly to the site of the injury to promote healing and bring rapid relief of your back pain. 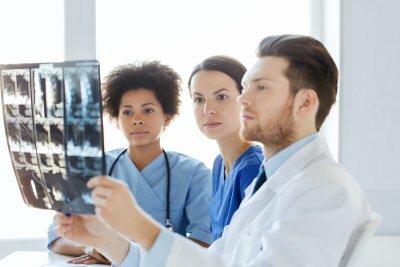 If your spine specialist determines that you could be a good candidate for spinal injections, he or she will let you know what you can expect before, during, and after the procedure. It’s important to provide your spine specialist with the full details of your medical history. Let him or her know if you’re taking any medications or supplements, particularly those that can thin the blood such as aspirin and St. John’s wort. Bring any imaging studies you’ve already had, such as X-rays or CT scans. If you haven’t yet had imaging scans performed, you may be asked to undergo some testing. You might be asked to refrain from eating or drinking anything for a period of time prior to the injection. This is for your own safety. Arrange to have someone else drive you to the spine center and back home afterwards. If your health suddenly changes before your appointment, such as if you develop a cold or other illness, inform the spine specialist. He or she may need to reschedule your injection. When you arrive at the clinic, the doctor may place an intravenous line and monitoring equipment to keep track of your vital signs. You’ll be asked to lie on a table in a certain position. Your skin will be sterilized and numbed. Under live X-ray guidance, the doctor will place a needle in the epidural space before injecting the medicines. If you received a sedative, you’ll be asked not to drive for at least eight hours. It’s also a good idea to have someone stay with you for the rest of the day. You should plan on taking it easy for the remainder of the day, although you can generally expect to return to work the following day. If you experience pain at the injection site, you can apply a cold pack wrapped in a towel. It can take a few days or perhaps a week to experience the full benefits of the anti-inflammatory medications. If you’ve visited a spine specialist because of persistent or severe back pain, you may have been diagnosed with a herniated disc . When you watch this video, you’ll see an animation of how a herniated disc can occur and how it might be treatable with spine surgery at a clinic in Los Angeles. The intervertebral discs of the spine provide cushioning and flexibility. When the exterior wall of a disc degenerates, it becomes more vulnerable to injury. A crack in the exterior wall can allow the inner material to protrude through to the outside. Subsequently, this material can compress a nearby nerve, leading to symptoms like back pain. Spine surgery isn’t always necessary for herniated discs. In fact, many patients can find sufficient relief of their symptoms with conservative treatments like rest and physical therapy. But when the symptoms persist longer than six weeks, spine surgery might be recommended. The spine specialist can remove the herniated portion of the disc, which relieves pressure on the nerves. The thoracic spine is the portion located in your upper back, between the cervical spine in your neck and the lumbar spine in your lower back. Pain in the thoracic spine is less common than back pain that affects other areas, because this part of the back is relatively stable and moves only minimally. 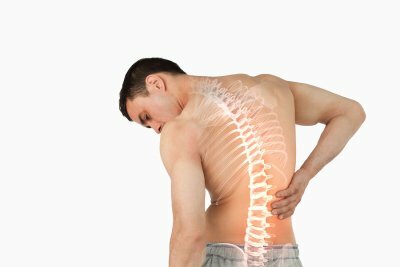 If you experience pain in your thoracic spine, see a spine doctor in Los Angeles for diagnosis and care. As with all types of spinal injuries, upper back pain is easiest to treat when you see a spine specialist soon after the onset of symptoms. Thoracic back pain is typically caused by muscle irritation, or myofascial pain, or joint dysfunction. Myofascial pain usually occurs because of overexertion or de-conditioning of the muscles in the thoracic region. Joint dysfunction can also be caused by accidents and other spine injuries. Non-operative spine care is sufficient for most cases of upper back pain. Physical therapy, steroid injections, and massage can all be helpful. When non-invasive methods don’t work, surgical solutions including fusion and laminectomy, are possible. Spinal injuries and back pain are significant risks in nearly every sport. For athletes, back injuries can be particularly troublesome because they often require lengthy recoveries. While your spine specialist in Los Angeles can offer non-operative spine care and other back injury treatment options that can get you back in the game as soon as possible, prevention is the best strategy. Protect your back from an injury that ruins your season with this advice. Before any physical activity, whether in practice or in a game, always stretch and warm-up before taking part. Stretching and warming up boosts circulation to your muscles and helps loosing them up in preparation for exertion. Skipping this pre-activity routine means you’ll be going right from rest to intense activity, which can cause tears and other injuries in the stiff muscles in your back. Most sports have safety equipment that is designed to prevent a range of injuries, including spinal injuries. Reduce the urge to compete without it, even during practices. If you already have a back injury and your spine specialist recommends that you wear a brace or other type of protection for you back, follow the treatment protocol. Even if this kind of safety gear isn’t typical of your sport, wearing it can make the difference between a minor injury and one that ends your ability to compete for the season. No athlete wants to volunteer to sit out of a game, but if you experience back pain, rest is essential. Playing through the pain can worsen a spinal injury and lead to long-term immobility. By allowing your body time to heal, your injury may not require any additional treatment, while causing your injury to get worse may leave you in need of spine surgery. For persistent pain, see a spine doctor for a diagnosis and to begin treatment as soon as possible.